Bio Alberti’s farro dicoccum - also called triticum dicoccum, spelt, and emmer wheat - was first domesticated in Europe and Asia in ancient times. Farro dicoccum was actually one of the most cultivated crops in the ancient world. Farro dicoccum from Poggio Aquilone, in Umbria gets its name from the fact that the “ear” of the plant contains two grains. Did you notice we have two types of farro on our website? This Bio Alberti farro dicoccum differs from Bio Alberti farro monococcum because it is bigger with a more full mouth-feel, and a creamier texture. We suggest you give them both a try. 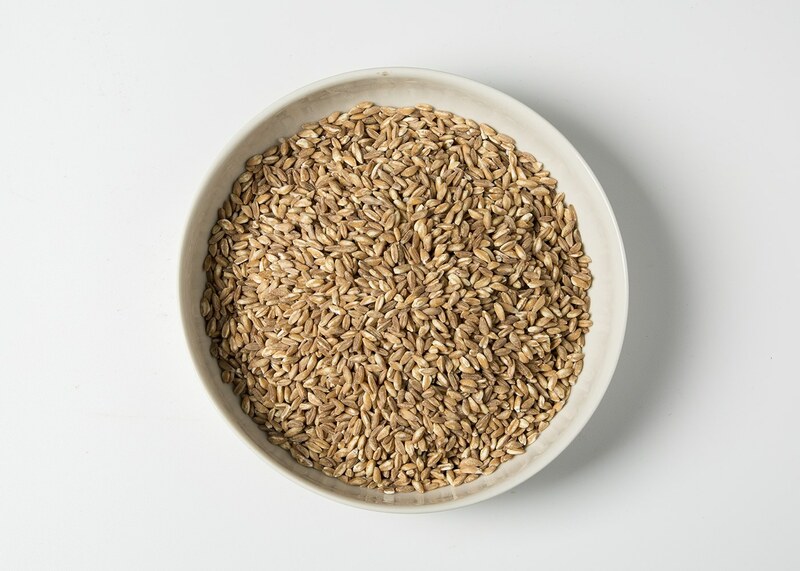 With a satisfying chewy texture and distinctive aroma, farro has a slightly nutty, earthy taste that is amplified if you toast it before boiling. Add it to soups or green salads for texture and satiating fiber, or use it as a protein and vitamin-rich substitute for rice. But we love it with roasted sweet potatoes, onion, squash and rosemary in the winter; zucchini and fresh basil in the summer. Or add honey, cinnamon, raisins and chopped nuts for a deliciously different breakfast cereal. Clearly, we’ve found ways to enjoy farro in every season and at every meal, just like literally hundreds of generations of Italians before us. This farro is semi-perlato, or semi-pearled. That means some of the bran has been mechanically removed. This allows the grain to quickly absorb water, reducing cooking time and making soaking optional, allowing you to add the rich taste of Umbria to everyday dishes! In addition to farro dicoccum, Bio Alberti also produce chickpeas, cicerchie (wild chickpeas), black beans, borlotti beans, cannellini beans, lentils, farro monococco, and orzo (barley).